Plagiarism, in a nutshell, is passing off the intellectual property of others as your own work, without proper accreditation to the original source. It is possible to plagiarize art, music and design, but this article is primarily concerned with plagiarism as it applies to writing. That means copying or loosely paraphrasing the writings of other people, and it is also possible to plagiarize your own work, if you use exact wording from an existing article in a new piece when the editor has specifically asked for original content. Search engines frown on plagiarized content, and you could be subject to legal action and the closure of your website, even if the plagiarism is unintentional. However, whether you’re a student, teacher, or freelance writer, there are simple ways to avoid plagiarism in your writing, and ensure that you always provide engaging, original content for your readers. Writing about common knowledge and information in the public domain is not considered to be plagiarism, but if a lot of people have already written about a topic, it is still possible to be guilty of plagiarism. There are only so many ways of wording a phrase or sentence, so if you are paraphrasing material for your articles, keep it to a minimum. Otherwise, your article may be classed as duplicate content by Google, and your website will not attract so much organic traffic. 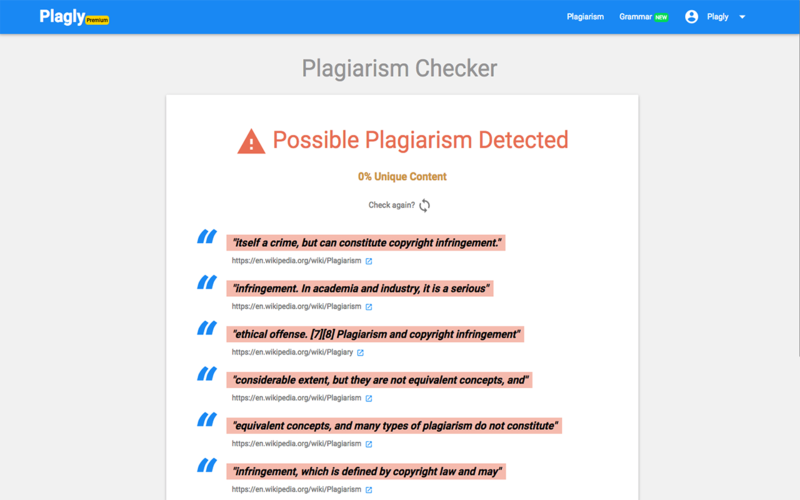 There are a number of free and premium online plagiarism checkers which will analyze your article and highlight similarities to other web content. They are simple to use and will help you to make adjustments to ensure your content is unique. If you’re writing in an over-subscribed or very popular niche, it’s worth making that final check before publishing. 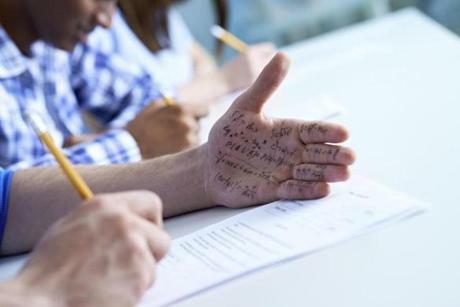 While plagiarism is an ever-present menace on the Internet, you can avoid it in your own writing if you allow plenty of time for producing your content, use multiple sources for research, clearly identify and attribute direct quotes and look for personal and unique angles on the topics you write about. While there are infinite topics to write about, millions of people have already written about them. Keep your writing different and plagiarism free by looking for a personal angle. For example, instead of just writing about weight loss in a general way, write about why it is easier – or more difficult -to lose weight at your age, or in your circumstances Nobody else is you, so nobody else will have your exact experience. If you’re working to a tight deadline, it can be tempting to take shortcuts and pull information from other material, and just reword it slightly. If it’s a common topic, you could unconsciously write something very similar to what’s already out there. Leave yourself plenty of thinking time, so you can process the information into your own words. When researching information for articles, use more than one source, and be sure to credit the sources and if possible provide back links in the finished article. Working from a single source, it’s possible to dip into the style of the writer, and unwittingly imitate their phrasing, so that you appear to be plagiarizing their work. It’s okay to quote the words of others, but if you’re using more than a few words, set them in quotation marks and attribute the source with direct quotes in the article. Again, it’s a good idea to link to the source of the quote. Avoid using very long quotes, as that may be construed as plagiarism by Google or the original author. One or two brief sentences should be enough to back up the point you’re making. As a bonus, these measures will also expand your knowledge and improve your writing, as well as giving other authors the recognition their work deserved. This entry was posted in Plagiarism, Writing and tagged assignments, cheating, checker, college, content, copying, graduate, paraphrasing, plagiarism, quotes, sources, student, writing, written. Bookmark the permalink.